Located in the heart of the Gold Coast, it is Australia’s largest regional convention centre, capable of handling corporate and association conferences and meetings, national and international incentives, banquets, exhibitions, concerts, sporting and special events. Live music venue offering craft beer on tap, hearty pub grub and a beer garden with synthetic turf. A 1920s themed cockatil bar with two levels and an award winning basement called "the Vault"
The Labour In Vain is a Brunswick Street institution – a haven for rock and roll misfits and locals alike. The intimate bar stocks a range of the finest draught beers, wine and spirits plus we have a sunny beer deck with pop-up BBQ and regular free live music. Drop in for a catch up with mates, to take in some fine tunes or to celebrate a special occasion on the beer deck. Boisterous, long-standing pub with eclectic decor and a bar menu, plus an exhibition space upstairs. Tucked away in the back streets of Fitzroy is The Union Club Hotel. Located on the corner of Gore and Webb Streets Fitzroy, the Union is a land mark corner pub and a true local. Hip bar painted red and lined with booths, for beer, cider and spirits, plus live rock 'n' roll. A Little Country Pub In The Heart Of Melbourne. Concert venue and bar in Melbourne's Richmond neighborhood. Low-lit bar and restaurant in a former church, plus rustic pub grub, craft beer and live music. Old-school bar for live music, with eclectic rock memorabilia, a classic pub menu and a beer garden. Landmark locale for local and international music acts, with a rooftop bar and a pub grub menu. Host to street art, observant thinkers, creators seeking inspiration and ponderous lovers, the Canal Saint-Martin is a 4.5 km long canal in Paris. It connects the Canal de l'Ourcq to the river Seine and runs underground between Bastille and République. Collaboration between Japanese chef Taku Sekine and Bartender Amaury Guyot, this small but striking brutalist dining establishment offers a unique take on haute cuisine. Reservations are only taken for tasting menu of either 5 or 7 courses. This boulangerie/pâtisserie from Claire Damon makes some of the best pastry in Paris. Opulent rooms & suites with free WiFi in a sophisticated hideaway offering a dramatic feel. Home to a wealthy, quiet and artsy contingent of Paris, the Île Saint-Louis is one of two natural islands in the Seine river, in Paris, France. The Île Saint-Louis is connected to the rest of Paris by four bridges to both banks of the river, and to the Île de la Cité by the Pont Saint-Louis. Paris-based chocolatier offering fancy candies, plus macarons, pastries & gift boxes. Elegant 1835 palace lodging with Louis XVI rooms & suites, 2 restaurants & a spa with sun terrace. Sweet treats and other delightful offerings are found at this upscale cafe, part of the trendy French/Japanese clothing and lifestyle company. Pont Neuf is the oldest standing bridge across the river Seine in Paris, France. Its name, which was given to distinguish it from older bridges that were lined on both sides with houses, has remained after all of those were replaced. The bridge is arched stone, opened in 1603, with two spans and a bronze, equine statue of King Henri IV. Large park with expansive views, home to the Royal Observatory, Maritime Museum and Meridian Line. The Sovereign's birthday is officially celebrated by the ceremony of Trooping the Colour on a Saturday in June. Although The Queen was born on 21 April, it has long been the tradition to celebrate the Sovereign's birthday publicly on a day in the summer, when good weather is more likely. Robert Is Here is a fruit stand, farm, animal area, picnic and splash park, and an online store with live music on the weekends operating in Florida City. It is open 8 am to 7 pm every day from November through August. (Closed Sept. & Oct.) Open Labor Day weekend. The Upper Keys first and only microbrewery. All our beers are brewed with top quality ingredients to make the best beer possible. The Losbster Trap Art Gallery is a unique art gallery in Islamorada is full of colorful tropical art from Nadine & Glenn Lahti and other local artists from the Flordia Keys. Long-running local go-to decorated with license plates serves seafood, steaks & nightly specials. Roomy seafood eatery presenting fresh catches in a glass-walled dining room overlooking the water. Tiny grab-&-go canteen specializing in massive build-your-own burritos, tacos & custom juices. A made-from-scratch American eatery with vegan & vegetarian options, plus wine & craft brews. Heaping meze platters & other Middle Eastern fare are the draw at this casual, family-run stalwart. This iconic mid-century modern home of well-known designers Charles & Ray Eames offers tours. Popular strip-mall choice serving classic Chinese dishes in hearty portions in a no-frills setting. Funky, casual coffeehouse serving hot drinks & light food into the wee hours, with free WiFi. Korean restaurant offering BBQ, noodles & other eats from lunch till late at night. Family-run shop known for pho, banh mi & other Vietnamese fare plus beer & wine in hip, modern digs. Park next to the Grove includes baseball fields, basketball courts, a library & holocaust memorial. Dogs without borders hold adoption fairs every weekend except for the last weekend of the month. Come meet some of our pals snout to snout. Renowned comedy club (part of a chain) opened in 1974 & featuring a roster of shows, plus dining. Relaxed rooms in a bright, airy guesthouse with free WiFi, bikes and locally sourced coffee & juice. Upscale shopping mall includes retail shops, popular eateries & a theater amid an outdoor courtyard. Cavernous, bustling space open October-May & drawing crowds for crab, Key lime pie & more. Upscale Mexican classics & a bottomless margarita brunch served in a lively atmosphere. The Chrysler Building is an Art Deco style skyscraper located on the East Side of Midtown Manhattan in New York City, at the intersection of 42nd Street and Lexington Avenue in the Turtle Bay neighborhood. A New York classic opened in 1837, Delmonico's was the United States' first fine dining experience. The restaurant has been renovated to its original opulence expected of a Wall Street location and is noted as much for it's private dining experiences as it is for its menu which still hosts Eggs Benedict, Baked Alaska, Lobster Newburg and Chicken A la Keene, culinary creations invented by Delmonico's Chef de Cuisine, Charles Ranhofer, in 1862. Roosevelt Island is a narrow island in New York City's East River. It lies between Manhattan Island to its west and the borough of Queens on Long Island to its east, and is part of the borough of Manhattan. Classic cocktails & light fare in the ornate Grand Central offices of a 1920's mogul. Fried chicken, biscuits & other Southern dishes in a low-key saloon where you order at the bar. The Halal Guys is a halal gyros food cart on the south-east corner of 53rd Street and Sixth Avenue in the borough of Manhattan in New York City. American restaurant & bar notable for its prime lakeside setting in the middle of Central Park. Original branch of a landmark local chain serving an eclectic mix of pub grub in kitschy digs. Citizine is a multimedia travel platform dedicated to presenting high-quality original and curated content. Working with some of the best filmmakers, photographers, writers and cultural tastemakers around the world, Citizine aims to inspire audiences near and far. 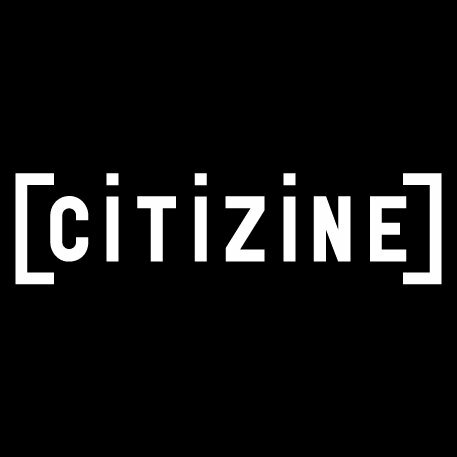 The first iteration of Citizine.tv encourages dialogue and feedback, so that as it grows, it evolves to fit your discovery and planning needs. For now, you can source new information from Citizine's videos and articles from a constantly growing list of destinations. You can explore content by browsing the main map and best of all, you can save points that interest you to your own map in your profile and share your personalized map with your friends, family and audience.